Fires in nuclear power plants are extremely complex. We all remember the one that occurred in Fukushima caused by a tsunami, or many others like the one of Indian Point or Windscale. 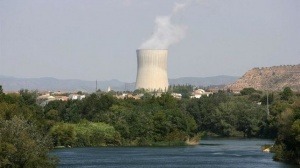 Now, a small fire in Ascó (Spain) has frightened the residents of this small town, where the nuclear power station Ascó I is located. What can we do to prevent such fires in nuclear power plants? That is why, along with other passive and intrinsic measures, the security systems must respond to the unavailability and possible failures of the main systems, as well as to emergency situations that may occur in the operation and functioning of the nuclear power plant.